I've been looking around and haven't found much of what I'm looking for. My brother is giving me an old project truck of his. It's a '47 and in poor shape. I have never found the front end to be particularly attractive (sorry if you like it). 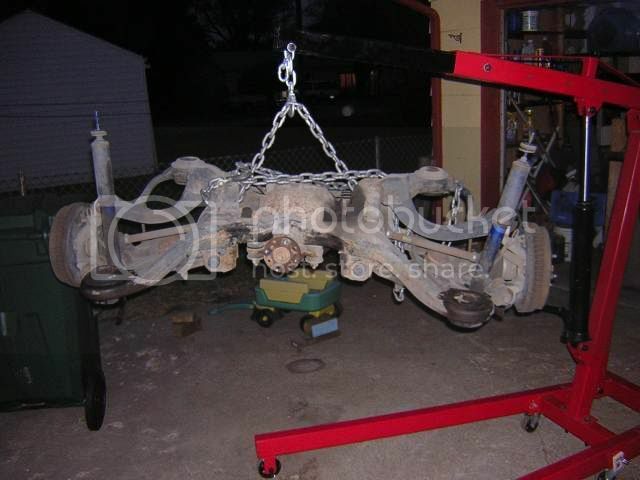 The truck is missing its original frame and currently sits on a too-wide '72 Chev. PU frame. What I'd like to do is use the cab and the drivetrain in a new from the ground up truck. I'm thinking of converting the truck to a COE. I know it will be a lot of work, but I have an excellent source of help with the metalshaping. Upside is that it will be entirely custom. 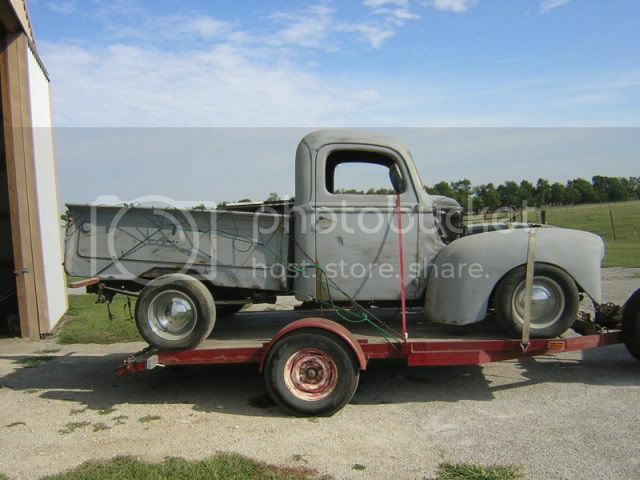 Does anybody have any pics from under the hood of the old COE trucks? I've found a few outer pics, but nothing underneath. I don't know how much of the info I'll use, but the more I have to start with, the better. I've seen a few trucks put on longer frames with the engine mounted mid-truck, which could be done. I'll probably fab an entirely new frame from 5" or 6" tall rect. tubing, but I could be swayed there, as well. Any advice, pics, opinions are greatly appreciated. 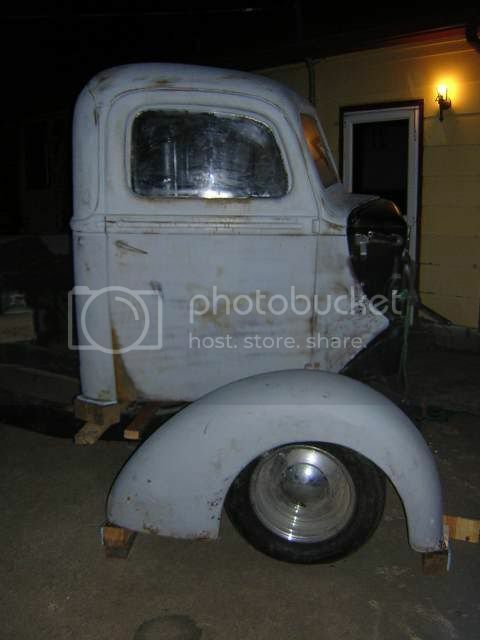 I've no advice, but look for some posts by "Bubble Boy", he's just mentioned he brought home a '47 COE, maybe he'd eb willing to snap some pics for you. Thanks, I PM'd him. Hope he can help me out! Looking at some of the pics of the COE trucks......it would look awesome on a Unimog frame. Been away for awhile. Unfortunately, as projects often do, this one has run into some obstacles. Nothing major, but obstacles, nonetheless. But, I have played around with some things, and am on the way. Here are some pics of what I have so far. Sorry, it isn't much yet, but sometimes progress is measured in small increments. Truck on the trailer at Dad's shop, getting ready for the trip home. Pic of the rear of the cab floor. Cab positioned about where I'd like it, with a rear fender in place to see what it would look like. I actually like the look, but I'm going to have to go with a somewhat 'thinner' fender. This takes up too much of the door when open. Here's the rear end that I believe will find its way under the rear. Last edited by whateg01; 12-16-2007 at 11:56 PM. So, I have the cab. The front sheetmetal will be scratch-built. The engine will be a SBC, because I have it and a TH350 already. (More on that later.) That's about all that I intend to use of what I have. 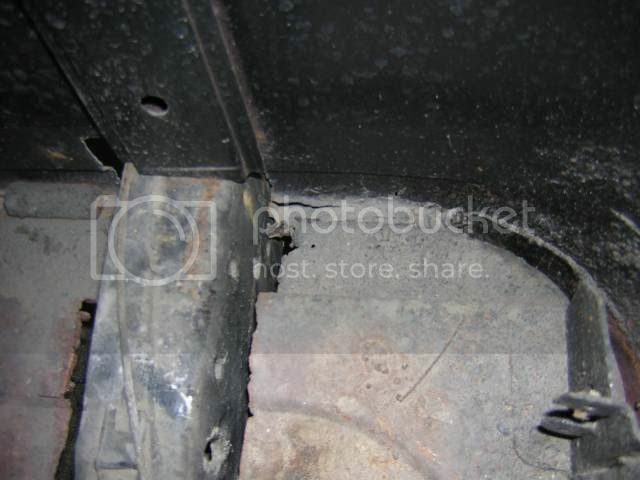 The frame that is under the truck now is out of a '73 Chev PU. That's what I inherited with the truck. The original frame is about 10 years gone, unfortunately, though I'm told it was mostly gone before that due to rust. The engine that I have is a 305, which is underpowered, but for this app fine. I don't plan on making this a hot rod right now due to budgetary reasons. I also have a new 350 shortblock available, if I do choose to go more powerful. The current frame has been shortened to 115 in wheelbase, about 1 in longer than the '47 had. I don't know if it was done intentionally, or if just happened. The splice that was done is a tad scary. No, it's just plain scary. So, the frame will likely be either re-done, or will be replaced with a new one. I have a rear end out of a '93 V6 T-bird, which is another reason I don't want to go too powerful. The half-shafts are not meant for real power. If I do go more powerful, I'll have to get the halfshafts from a V8 car. I mentioned that the front sheetmetal will be all unique to this truck. Much of the cab will have to be replaced as well. Only a few places in the cab are actually rusted out, but much of it is pitted badly enough that I'm not sure I can metalfinish it, which would leave me to use Bondo, which I am opposed to. The floor, for example, will be completely replaced. Even if the back of the floor wasn't butchered, the front would have to be narrowed to allow for tire and suspension clearance. The firewall will also be completely replaced with a smoothed version. I have also decided to put the engine midships. I considered leaving up front, but the doghouse would be so intrusive and it would be such a pain to work on, that I just didn't want to deal with it. This is also the reason I'm getting rid of the 12-bolt and putting in the IRS. With the engine back that far, I won't have room for the pumpkin to move. With the IRS, I can fix the diff in place and either use a very short driveshaft, or use a coupler to connect the trans to the rear end. I have looked online and am having trouble finding a coupler for a 8.8" rear end. I can find the TH350 end. And I can find 12-bolt and 9" pieces, but the 8.8" seems to be used much less in drag racing applications where a coupler would be needed. So, does anybody know where I can find that? 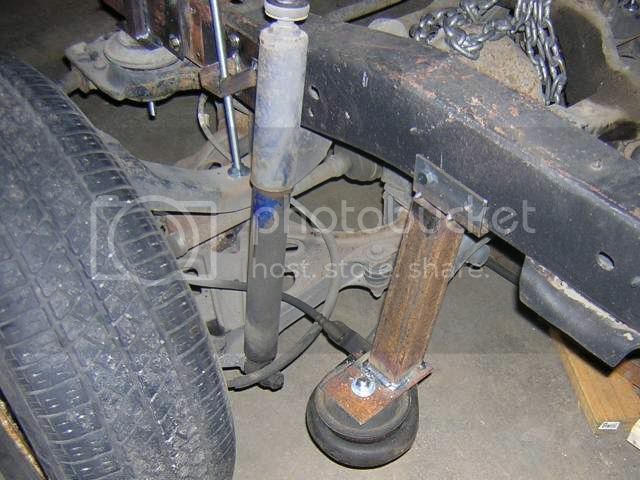 I am leaning toward building a new frame, as opposed to making another truck frame work. 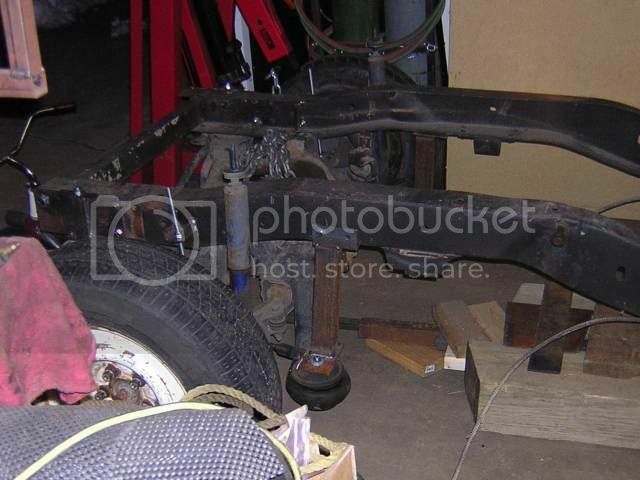 The '73 Chev PU frame is 6.25" tall at the tallest point, which is in the middle. Above the rear end, it's 4.75" and above the front end I think it's 6.25". They are also 1/8" thick. I don't think I need that much frame under this truck, as it will be all show. It will never work a day in its life. I'll drive it occasionally, but it won't haul anything. So, how tall, wide, and thick were the original frame rails? 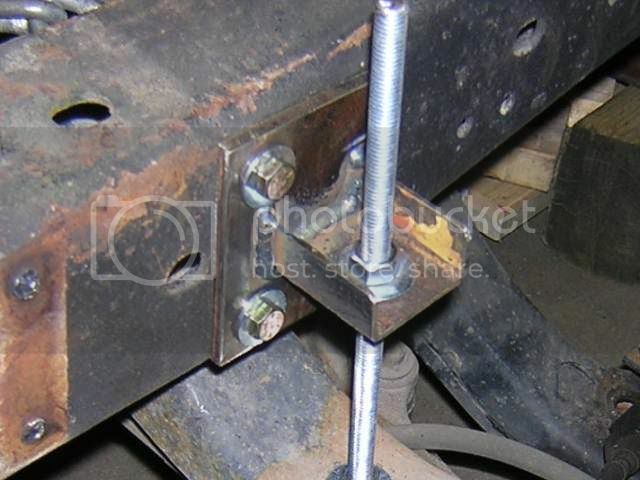 I've checked with a truck parts shop and they have frame rails, but the one they suggested was 6"x3"x1/4". WAY OVERKILL! And way heavy. I'm thinking right now of using 2"x4"x1/8" rect. tubing for the frame. I don't think the wheelbase will change much from what it is now. I'm just not sure how it will take the weight of the engine in the middle of that span. It will drop down in the middle to make engine stuff easier. From a vertical support standpoint, the rect. tubing will support more than a similar sized 1/8" thick c-channel will, simply because there is 1/4" of total thickness in the cross-section, but is the 4" height enough? I have also considered using 2"x6"x1/8" for the lower section of the frame, the part in the middle. The downside to that is that it's heavier and will cost more. That would be roughly the same size as the existing frame, though, which I already think is too much. I realize that the grade of steel is different, with the real frame being stronger, but I still think that 2"x6"x1/8" tubing is at least 1.5 times as strong as the existing frame. Sorry for the long-winded essay. Last edited by whateg01; 12-17-2007 at 12:03 AM. I have actually made progress on this thing! Since I will be building a new frame, I've decided to mount stuff to this frame so that I can figure out the best placement for it. First order of business was to get rid of the 12 bolt and get the T-bird IRS under it. I moved the rear end back about 21.5" which does a couple of things for me. First, it looks better, IMHO. 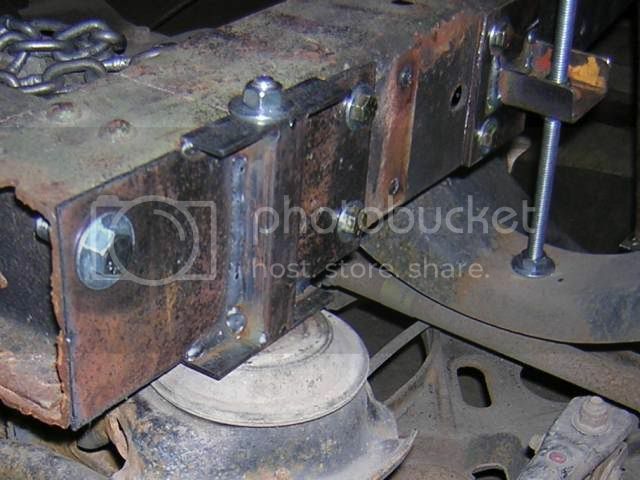 Second, and maybe a little more important is that it eliminates the need for the coupler that apparently cannot be purchased anywhere, allowing the use of a short driveshaft. 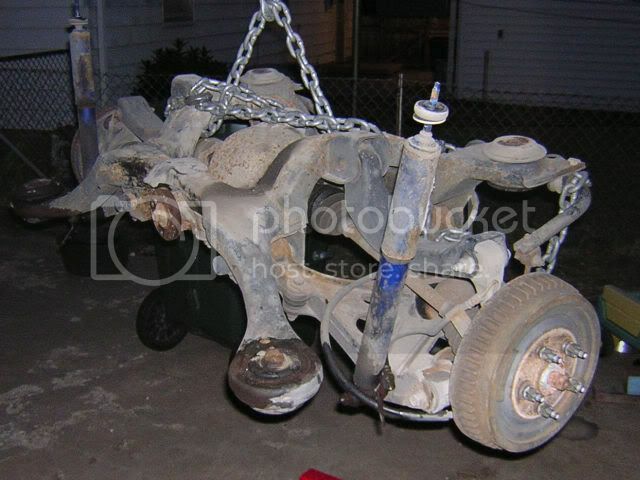 One of the next things to do is to get the motor positioned so that I can decide where it will live. To start that process I made a cradle that I can bolt into the temporary frame. I still need to add brackets to attach it to the frame, but you can see it with the motor in it here. This pic is a close representation of where the motor will go, except that it will be about 13.5" lower. Thanks! I am just hoping I can keep it fun the whole time. It is so far! Sad. Another good old ford ruined by a SBC. Where's the nostalgia people? Sorry. It's what I have on hand, and since it's a budget thing, and it's nothing of a restoration, I have no brand loyalty. However, if you have a motor and trans that you want to donate to the cause to keep this truck all FoMoCo, I'd be happy to accept it. Oh, and if it's a big motor, I'll need the heavier halfshafts for the rearend. The rear end is from a V6 car.